Your relationship with your customers is nothing more than a series of interactions along the end-to-end customer journey. Therefore, the success of your business lies within your ability to turn those interactions into gratifying experiences. Customer service is another touchpoint where customers engage with your organization. The challenge is to maximize satisfaction every single time an interaction occurs. The fastest way to make sure you are meeting your customers’ expectations is to just go ahead and ask them. Often, however, companies do not have the necessary tools to incorporate the right type of feedback straight into their customer service platform. That’s why we are thrilled to introduce our Zendesk survey integration. Surveypal’s integration triggers customer satisfaction surveys straight from Zendesk and maps survey data in real-time back into Zendesk, where you can access it in the format of your choosing. 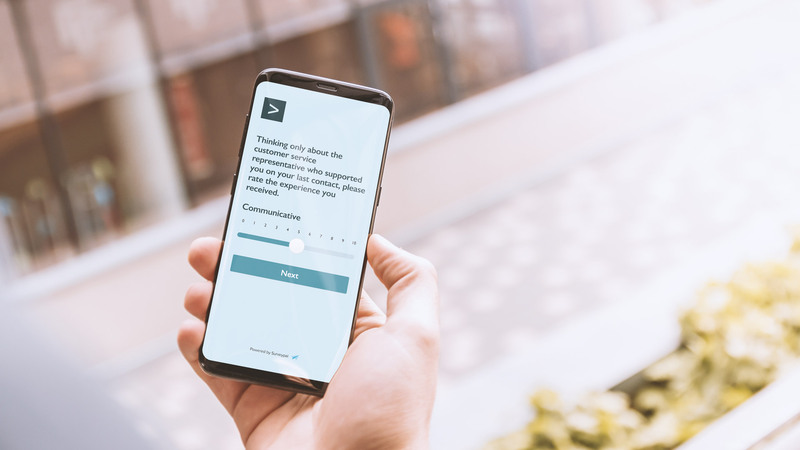 With our fully integrated solution you can better manage customer feedback and act upon it to enhance the customer experience. And the best part is you never have to leave Zendesk. 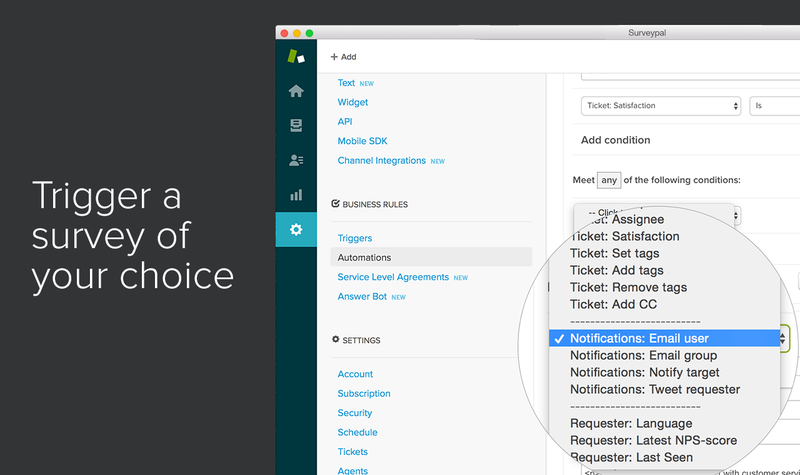 Create automatic workflows and email alerts based on location, response, role, etc. Let’s imagine an airline customer contacts customer support requesting a business class upgrade. A customer care agent interacts with the customer only to let them know there is no possibility for an upgrade on that particular flight. After the interaction is complete a survey is automatically sent to the customer. The customer completes the survey and gives a low satisfaction score. Once the survey response is complete, the data is directly fetched into Zendesk and an automation alerts the customer support manager of the low satisfaction score. The manager consults with the team and takes immediate action by contacting the customer to offer a complimentary business class upgrade on their next flight with the airline. 1. 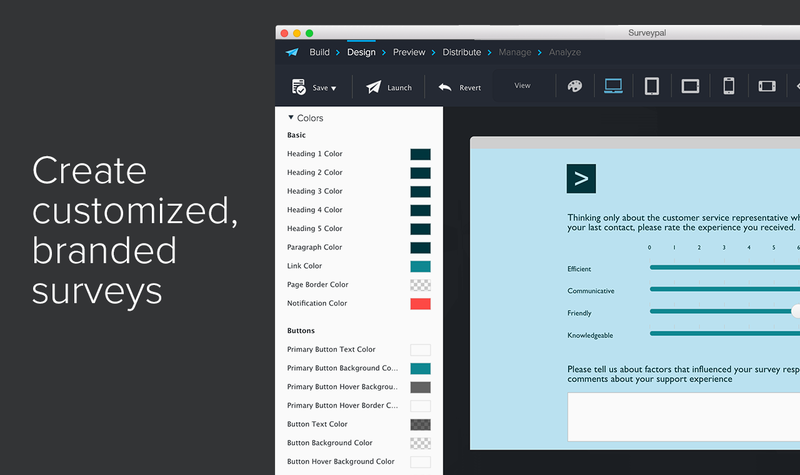 Access our powerful survey editor and build your survey. You can customize the survey to your brand and your organizational specifications. 2. Map data between Surveypal and Zendesk. 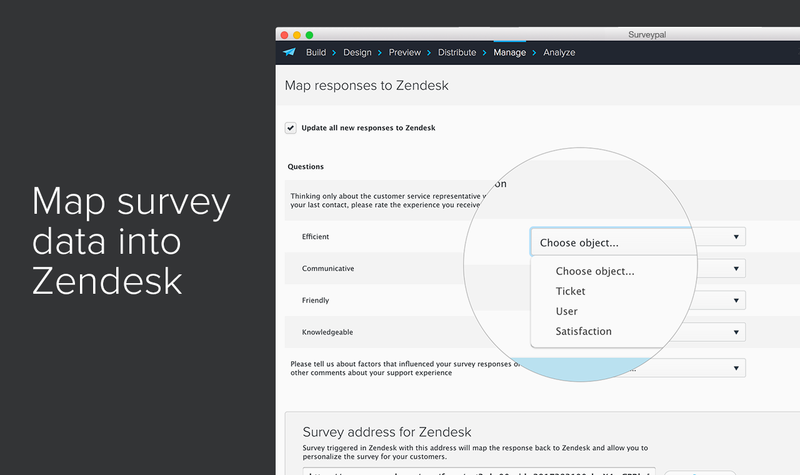 All new survey responses will automatically update in Zendesk. 3. Trigger personalized surveys based on customer data. 4. 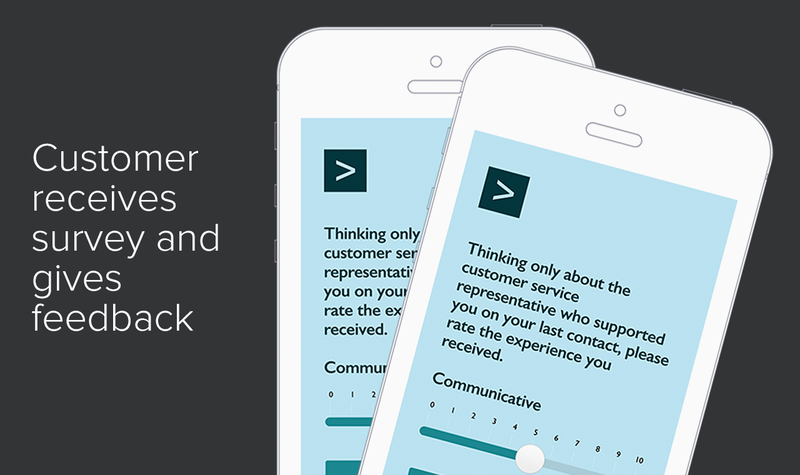 Your customers receive a survey every time they complete an interaction with your organization. 5. 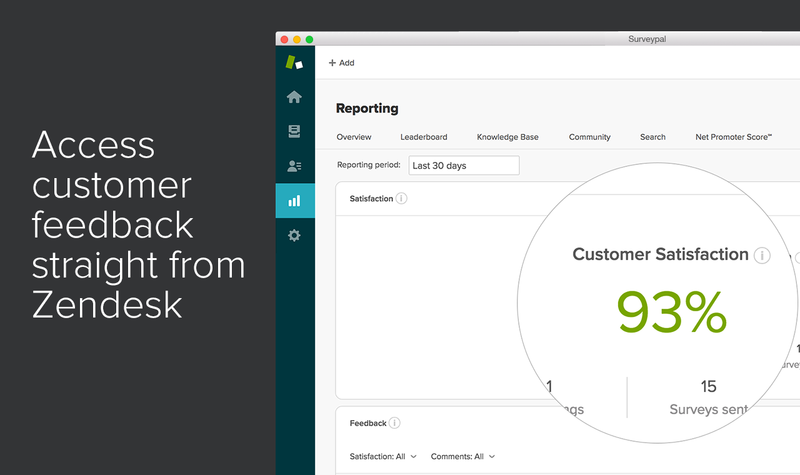 Monitor customer feedback in real-time with Zendesk Explore. The Surveypal integration for Zendesk allows you to get the most out of your data and fully understand the customer experience. Follow up on your support cases straight from Zendesk and set up triggers to notify your team every time the customer makes a request or provides feedback. Surveypal’s enterprise class integration is designed to enhance touchpoint management and support the creation of a data-driven knowledge base in Zendesk.